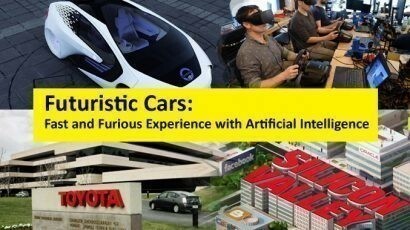 The autonomous self-driving cars are considered to be the future of mobility. The technological advancement has provoked us to foresee a dystopian future that would eliminate the human element. 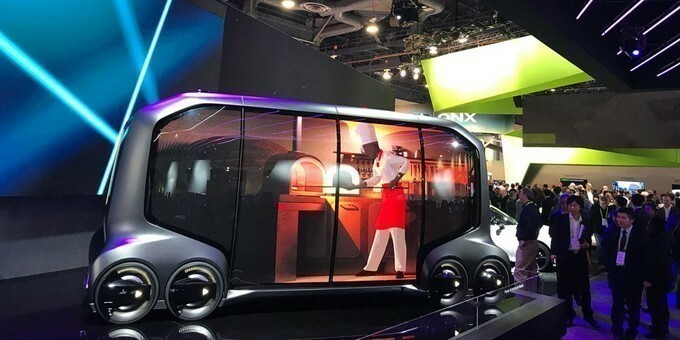 Following the notion, a leading Japanese Automaker and a Pizza making company have teamed up to make self-driving cars that could deliver pizza. The news might have enlightened pizza lovers because today they go themselves to quench their hunger for pizza, but tomorrow the pizzas would be delivered to their doorsteps. The makers have named it as ‘e-Palette’ and this idea was initially unveiled in Consumer Electronics Show in Les Vegas at the beginning of 2018. It was further revealed that the automobile manufacturer intends to test the vehicle as early as 2020. 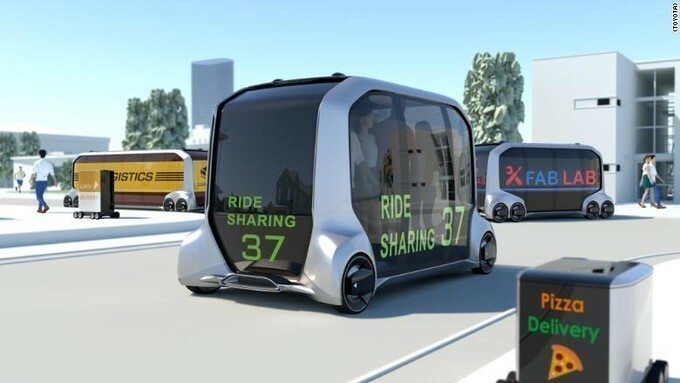 The quintessential driverless concept vehicle is complemented with an open layout, featuring three different sizes ranging from 13 to 23 feet. 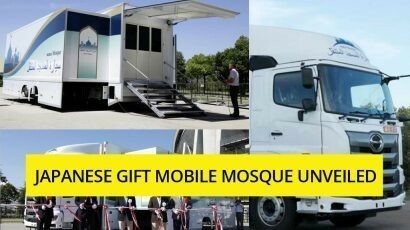 The van would travel all over the town on the desired locations to reach out to its customers. Therefore, it would require the customers to enter the code on the car and would handover pizza from the rear window or sideways. According to the pizza making company, self-driving delivery vans would serve the team members to offer a remarkable customer experience. It is basically the first step towards potentially waving goodbyes to the delivery boys. The vehicle would possibly act as a mobile kitchen. To our surprise, the vehicle would even cook pizzas and would deliver pizzas at the doorstep of the customers. The companies have come up with this brilliant idea in order to gain a competitive edge over the rivals in the market. It is evident that the automakers have started working on self-driving cars that are going to break the ground in near future. These autonomous vehicles are expected to rule on the roads in coming decades. Being a global exporter, we anticipate our stock filled with self-driven cars subsequent to this time. 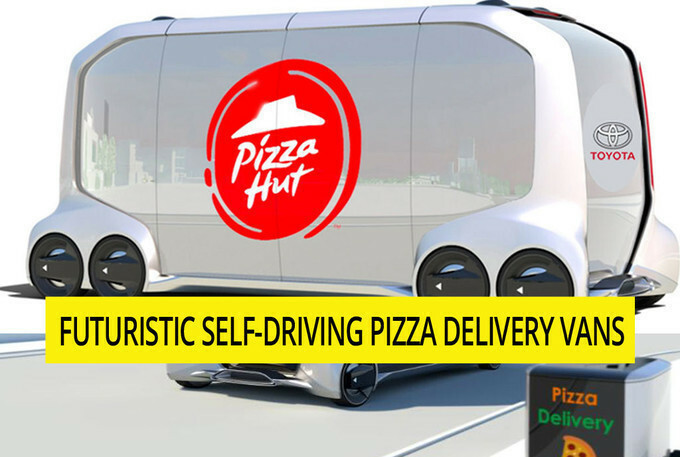 Full article : Video: Automatic Pizza Ordering Car Is Here…!!! Video: Automatic Pizza Ordering Car Is Here…!!! Full article : Good News: Drones Will Deliver Car Parts or Even A Pizza To You…!!! Good News: Drones Will Deliver Car Parts or Even A Pizza To You…!!! Full article : Is Self Driving Vehicle A Cure For Drunk Driving? 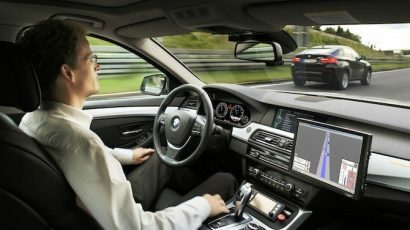 Is Self Driving Vehicle A Cure For Drunk Driving?